Mel B has been accused of intimidating a witness who was prepared to testify against her in her bitter divorce war with Stephen Belafonte, and police have opened a felony investigation. Rapper Siya, who starred in "Sisterhood of Hip Hop," filed a police report Monday, claiming Mel B sent her texts last Saturday threatening her if Siya dared testify against her ... this according to law enforcement sources. TMZ sources say Siya showed police the text messages and a felony witness intimidation case was opened. They are told Siya was prepared to contradict Mel B and testify Belafonte never physically abused his wife. Siya claims she was a close friend of both Mel B and Belafonte. Sources connected with Mel B dispute that, saying Mel B only met Siya a couple of times. They are told in addition to disputing Mel B's claims of abuse, Siya is prepared to testify Mel B frequently used illegal drugs. She's also prepared to testify about the 3-ways between Mel B, Belafonte and their nanny, Lorraine Gilles. Siya claims Mel B was the one who called the shots in the 3-ways. 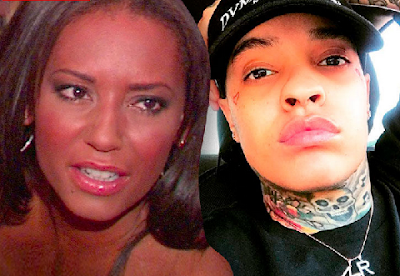 Sources connected to Mel B are calling BS on Siya's allegation of witness intimidation.